In Nogales, Sonora, Mexico, there is a statue that represents the Mexican nation in the form of a skinless, musclebound Yaqui. He holds a long spear that pierces through a hybrid beast that represents invaders and the ignorance that drove their actions. “Mono Bichi” is the name given to this figure by the locals, and it is paired with a statue of Benito Juarez. Oscar Valdez, a native of Nogales, holds the Mono Bichi dear to his heart. When searching for something to embody his roots, the first thing that popped into his mind was the skinless figure. He used it as a logo of sorts when first becoming a professional boxer. It’s an apt representation of a fighter, who can often be figuratively described as stripped down and naked when performing in a ring, and a fitting symbol of the type of person Valdez is. It’s been the longest span of time he’s ever gone without a fight, but it was a necessary layoff to recover from the gruesome injury he sustained in his last match. 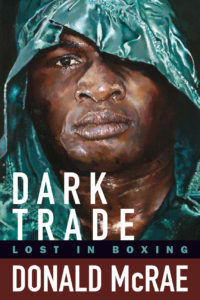 Valdez broke his jaw midway through a heated battle with Scott Quigg last March, and saying it was a career-altering event doesn’t give its impact enough credence, considering how the fight trade has driven his entire life. This Saturday night in Frisco, Texas, Valdez is set to make his return against Carmine Tommasone, and while there may be no real intrigue in this barely-ranked contender, on the line is the future of one of boxing’s most exciting action fighters. How he got to this juncture is a story in itself. A year ago, Valdez was sent to an obscure Guadalajara gym for a grueling training camp in preparation for Quigg, who was perceived as his toughest test to date. Having already gone through action-packed battles with Miguel Marriaga and Genesis Servania, it was thought to be necessary for Valdez to hunker down in Mexico along with a few teammates, far away from the Southern California gym scene where he’d normally prepare and ensuring there were no hiccups or distractions. Ultimately, the trip was a success, but Valdez and his team would soon be confronted with a decision that would render it pointless. 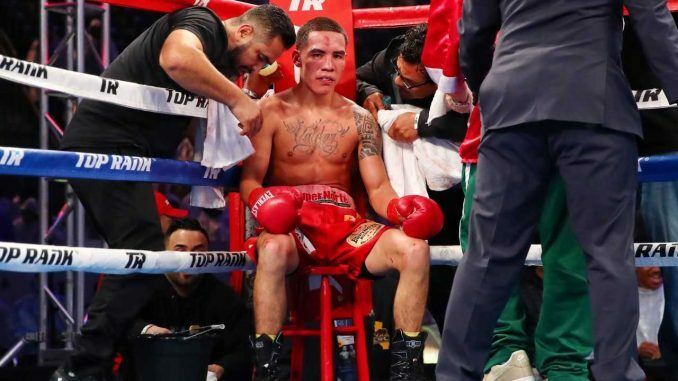 “Once we knew [Quigg] didn’t make weight, we were barking back and forth that he doesn’t want to make weight, try to make weight, or have the next day weigh-in,” Valdez recalled. “Frank Espinoza, my father, and my trainer at the time, Manny Robles, didn’t want me to take the fight. All three of them said to me it’s not a good idea to fight him, but obviously, I somehow convinced them. Canceling the fight would’ve ruined the entire event, which was set in Carson, California, and the headlining feature of an ESPN card put on by Valdez’s promoter, Top Rank, which was also in the early stages of an exclusive deal with the network. There wouldn’t have been any acceptable backlash publicly for Valdez not taking the fight, but with his first main event on ESPN hanging in the balance—early in a career that had been largely hidden on pay-per-view undercards—Valdez was determined to go forward with his big night. Quigg was a credible contender with past success at junior featherweight, and going into the fight with Valdez he had made the 126-pound limit during a three-fight win streak. Surprisingly, he came in two and a half pounds overweight. Though he couldn’t contend for Valdez’s WBO featherweight title and he was docked a percentage of his purse, Quigg’s ultimatum could’ve been perceived as an advantageous coup for the all-important win. That theory is probably what Valdez’s team had in mind as they tried to talk Oscar out of it, but it wasn’t enough. Yet for the fighter to do the convincing in this situation— given the mental aspects of the fight game—it was the only way anyone would let the fight go on. Even with his decision made, however, the apprehensions of those opposed were probably furthered on the night of the fight. 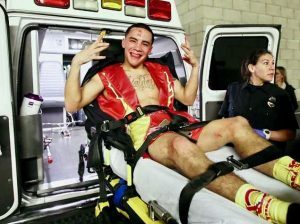 Los Angeles was in the middle of its worst torrential downpours in recent memory, and with the fight staged at an outdoor venue, surely someone had to internally scoff at watching the ridiculous task of someone wrapping Valdez’ feet in plastic trash bags ahead of his ring walk. Nonetheless, the show went on; but just as Valdez may have put some worry to rest with a great start to the fight, the brutal injury inflicted on him changed everything, and another predicament faced Valdez and his team. The blood pouring out of Valdez’s mouth was an indication something was wrong, but it wasn’t fully realized until the broadcast caught a good look at his mouth, showing the bottom row of his teeth in shambles. The fight soon turned into something else as Valdez and Quigg traded punches at a frantic pace. Valdez recalled hearing his jaw break even more after the two were in a clinch late in the fight, but he managed to outduel Quigg to a convincing unanimous decision victory. It was hard to see his elation thanks to the fractured jaw, but Valdez somehow managed to do the post-fight interview on ESPN. Eventually, Valdez would be whisked away in an ambulance, but not without a big smile on his face and his hands signaling the “W” he had just achieved. Soon that smile would be wired shut after having surgery, and Valdez would be left with oodles of time to think about a burgeoning career that was abruptly stalled. That’s when the sorrow kicks in for a fighter—when he can’t fight or do anything at all relating to his craft. In an effort to change, Valdez, twenty-eight, hired trainer Eddy Reynoso—who has helped cultivate Saul “Canelo” Alvarez into one of the best fighters in boxing. Of course, that move alone wasn’t going to magically change the outlook of his jaw, nor did it mean he wasn’t going to get hit again. Valdez, 24-0 (19), was well aware that learning new tricks wasn’t going to happen in one training camp. Repetitions on defense have been the main focus so far and, according to him, the early rapport with Reynoso has already brought improvement. His enthralling left hook will never go away, certainly, but only time will tell if his jaw holds up.